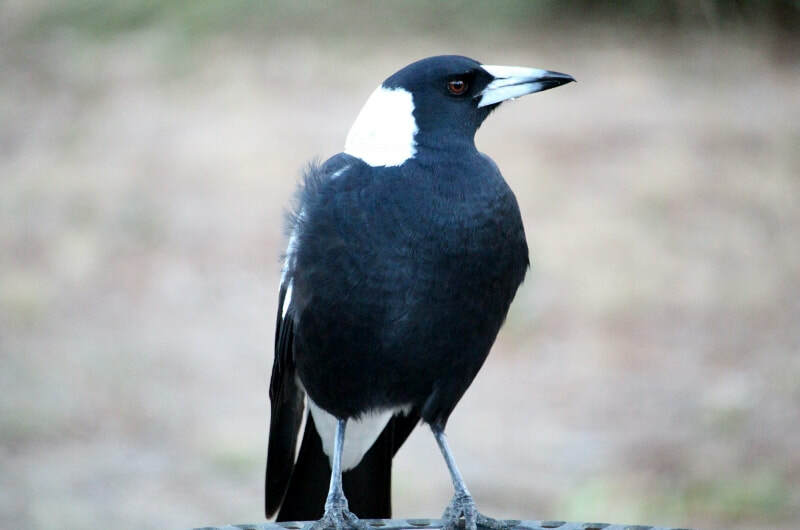 Magpies were voted Australia's favourite bird last year and they are greatly loved for their complex carolling and calls which stretch across four octaves. Carolling is used to reinforce group bonding before and after territorial skirmishes (a bit like a club's footy song after a game). Magpies also carol at dawn and sometimes throughout the night, especially if there's a full moon. Magpies are great vocal mimics and have been heard to imitate many other bird calls, car alarms, barking dogs and much more. I've been lucky to listen in a few times to a single bird's private vocalisation practise and it is such a joy - with suppressed laughs as a goose honking or koala growl is sounded in between the musical trills and warbles. 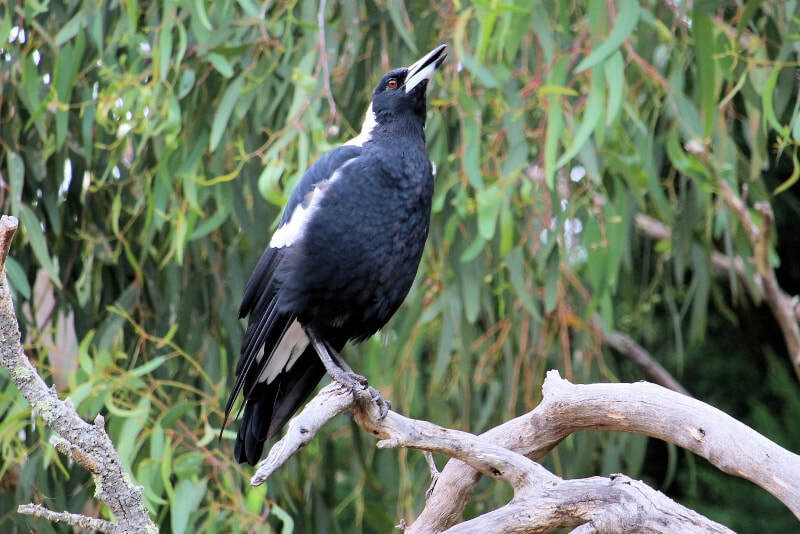 Here's a link to an ABC page that has a humorous clip of a magpie trying out some sound effects. The page also has some interesting magpie facts. 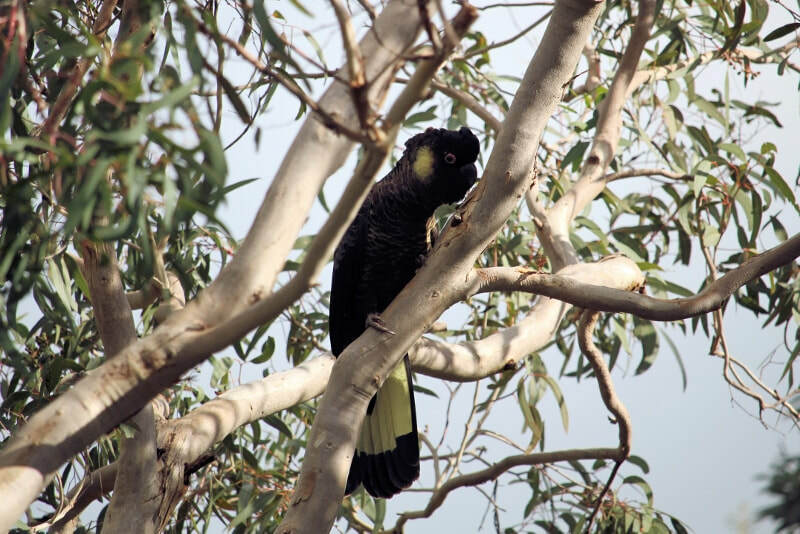 Found in south-eastern and South Australia the Yellow-tailed Black Cockatoos - Calyptorhynchus funereus - are Australia's largest parrot at up 65cm. 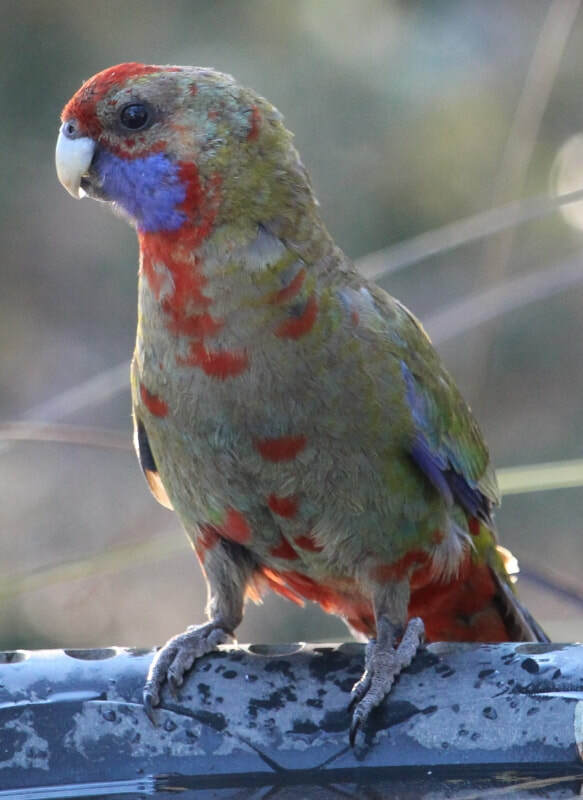 They are regular visitors here - either in family groups or small flocks - and generally munch on the seeds of a tall banksia in front of the verandah. They are also partial to tree boring beetles and moth larva hidden under tree bark and various native seeds. 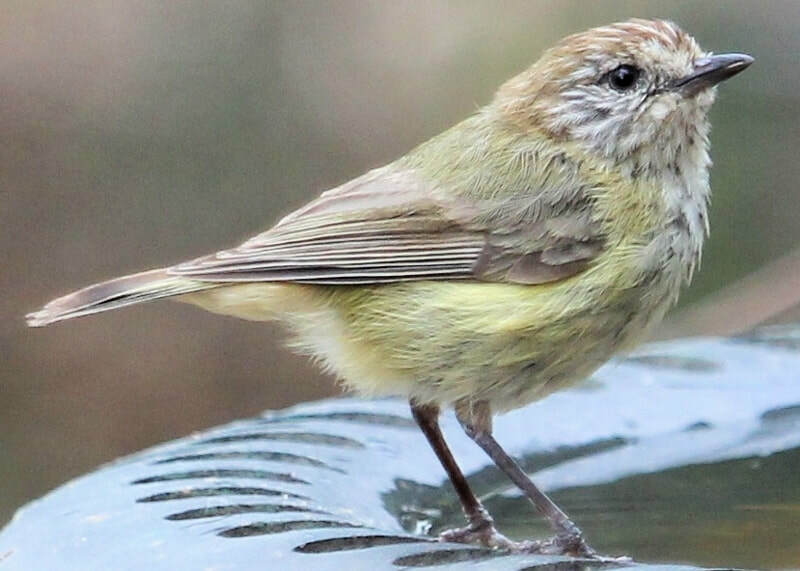 This month we're going small and hard to spot - the Striated Thornbill Acanthiza lineata is just 10cm long and weighs around 7 grams. 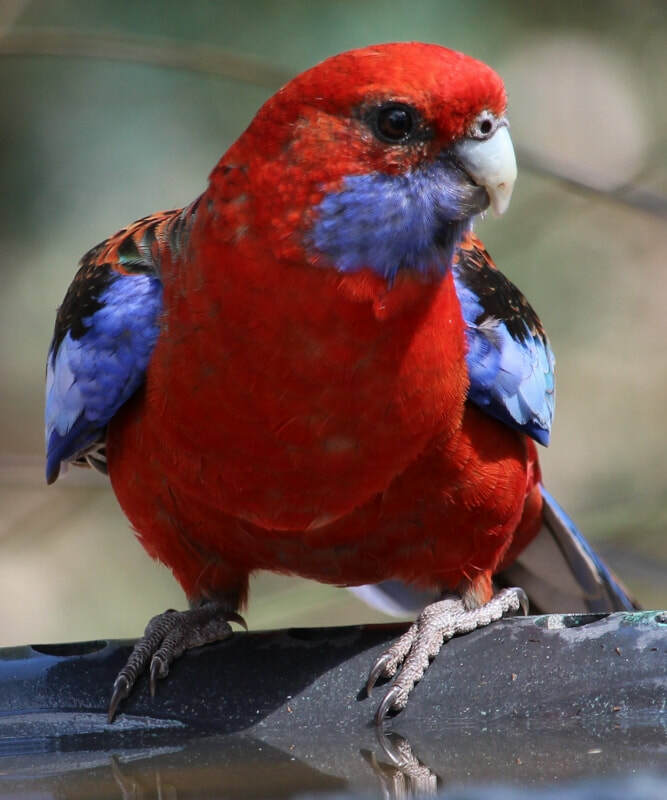 It spends most of its time in the canopy of mature eucalypts feeding on insects, including lerp insects (which are already present in numbers on the pink gums) and will also eat seeds and fruit. 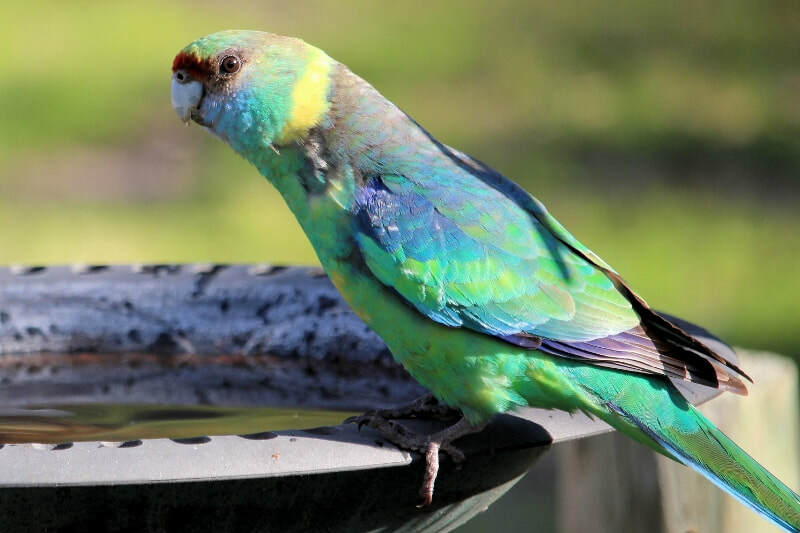 The Australian Ringneck -Barnardius zonarius- is a species that varies in size and colour across Australia, and is divided into two main groups and four subspecies. All have the yellow neck-band in common and are mostly green. If you've been visiting the block for a while, you'll know that the White-browed Babblers are amongst my favourite resident birds here, purely for their entertainment value. They bounce and hop, chuckle, chortle, squabble and are simply delightful to see. 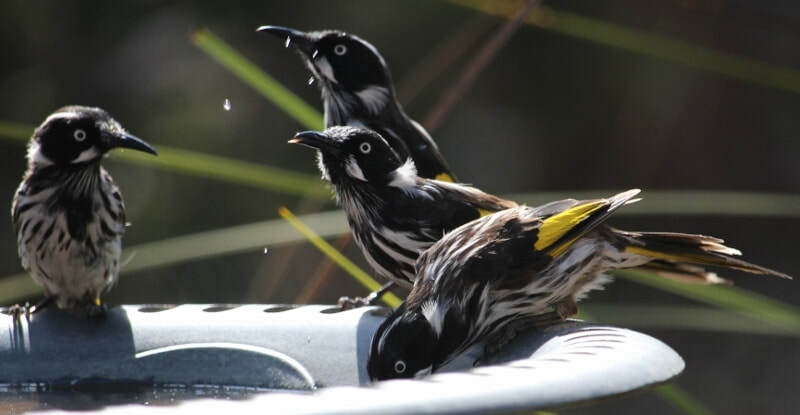 These charming birds live in smallish groups of between 10 and 20 along the east coast of Australia, just squeezing in here near the border with Victoria, with a small population, possibly a separate race, living around Adelaide. They prefer grassed clearings, where they feed mainly on seeds, with undergrowth to dash into for safety, so it's ideal here. Pairs form a permanent bond within the group and both undertake nest building, incubation and feeding of young. 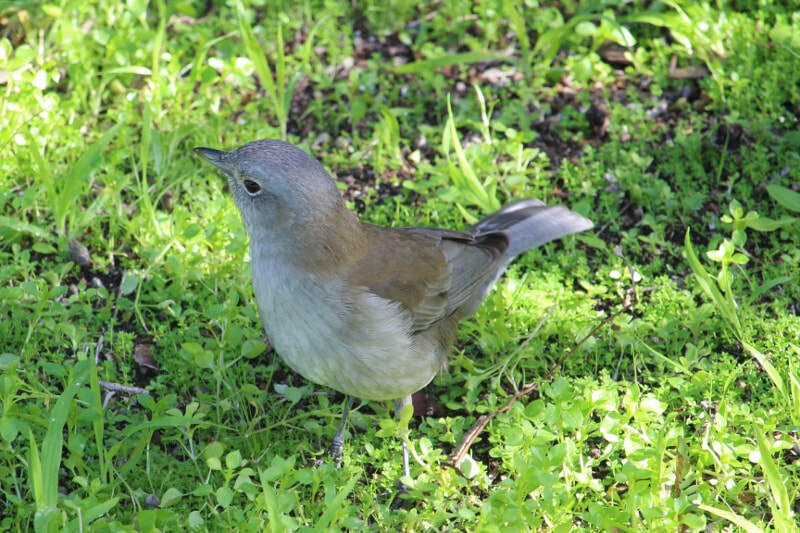 Or, simply, Grey Thrush, this engaging bird is common throughout Australia except for arid regions and a delightfully unafraid visitor to gardens. 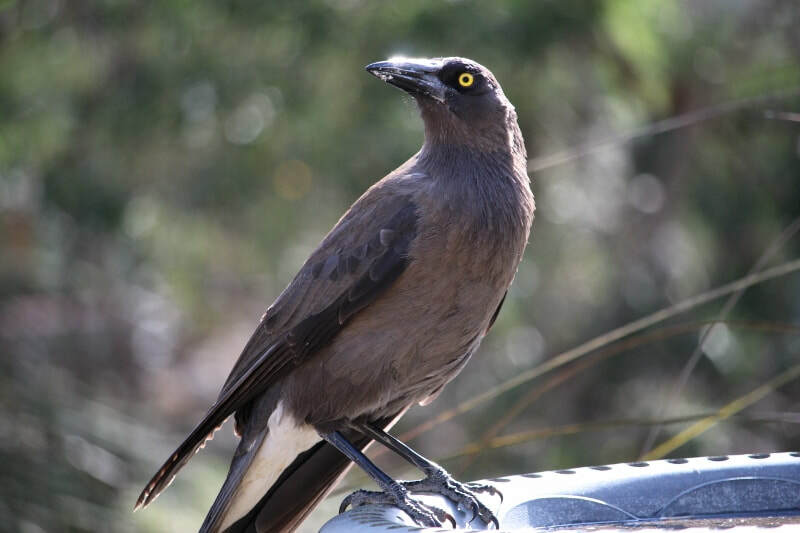 There are six distinct subspecies of Grey Currawong in Australia but the resident form here is the Black-winged Currawong, race melanoptera. At 50cm long and with those yellow eyes and impressive bill, it's certainly a striking bird. There is a breeding pair in residence - and they've successfully raised at least one chick that I've observed. Not long ago I heard first, then saw a major dispute between resident birds and another pair who'd entered their territory. 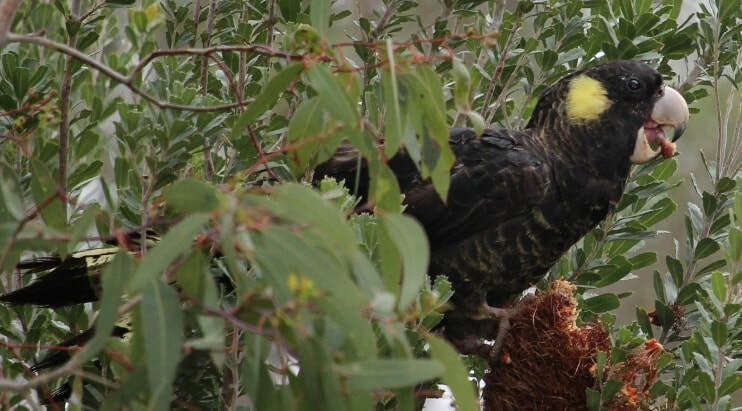 If you live in Victoria, these delightful parrots will be well known to you. They can also be found along the NSW coast, just over the the border into Qld and in the SE corner of SA. While they form permanent pairs, they still perform courtship rituals, which include the male feeding the female (as he'll do when she's incubating their eggs). Males and females are hard to tell apart - the female's beak is slightly narrower and she has a white underwing bar (only visible in flight). 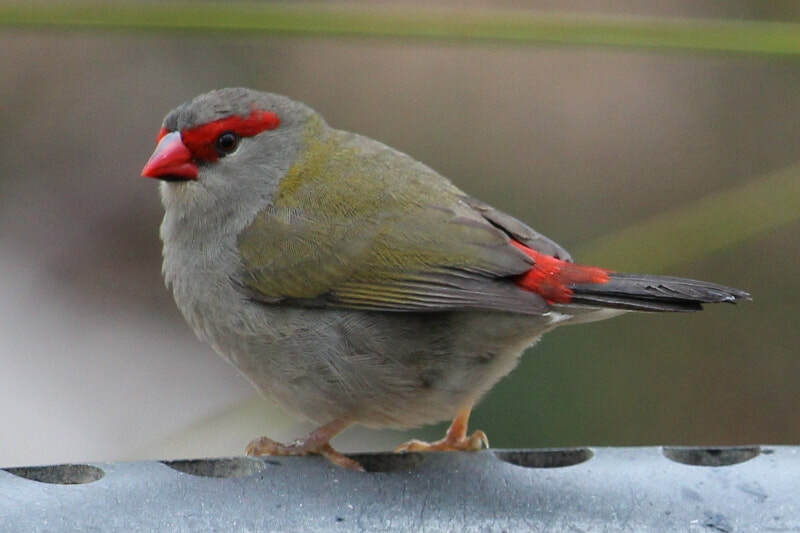 Juveniles are greener and can look quite blotchy when maturing into adult feathers. 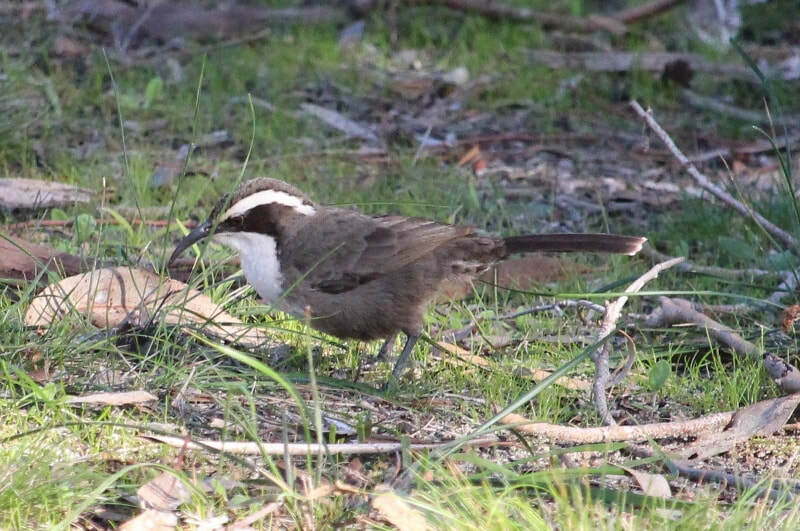 If you live south of an imaginary line drawn across the continent from just north of Perth to Brisbane, Australia, you'll probably be familiar this small but visible honeyeater. 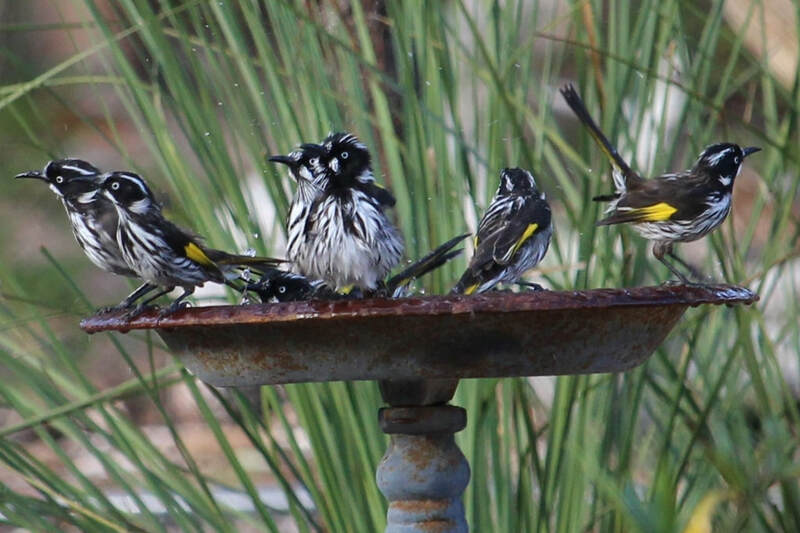 Having banksia and grevillea growing nearby will increase your chances again - the New Hollands are primarily nectar feeders and these are their preferred blooms. They also eat fruit, insects and spiders. There is a group of 30 or more New Hollands occupying the same territory that the LWs once reigned over. The smaller birds have the numbers and can be quite aggressive, both within the group, and then when working together to drive off other, often much larger, birds.